Rare earth deposits are not rare; they are just rarely put into production. Why is that? It is because of pricing economics driven by supply and demand. The demand for the rare earths as raw materials is today in southeast Asia, so it should not be surprising to see how the producing supply base has migrated to that part of the world. Yet pundits and politically charged writers keep hinting at a vast intentional Chinese conspiracy to “control” the rare earths. It is more than likely actually a consequence of the operations of the market forces of what we now (ironically) call free-market capitalism, as practiced today by governments following the model originated by John Maynard Keynes. The American financial regulators are as guilty of allowing foreseeable but unintended consequences of their actions, as the Chinese regulators are responsible for maximizing the benefits of American oversight for China’s economy. There is actually no intractable problem so long as both economies practice free trade, but when Chinese self-interest is seen as a threat to American self-interest, it is the “other” rather than the “system” that is brought into ill-repute. Rare-earth-based production (the supply) and production levels are determined by the economics of overall demand. So long as the lowest cost for rare earth products is obtained by buying such types of goods manufactured in China, the total supply chain and the focus of the rare earth industry will remain in China. Today, in early March 2012, I am going to give one prescription for the rebirth, health and continued growth of a non-Chinese rare earth industry, and I’m also going to make one prediction about the growth of the global rare earth industry over the next ten years. 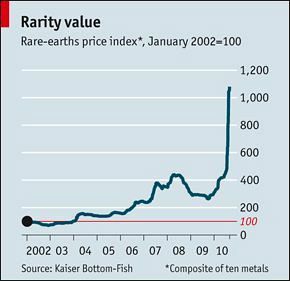 First, before I assume the mantle of the business survival specialist or of a resource-markets Nostradamus, I need to point out that the growth of demand for a rare earth element (REE) is in the case of almost all of the REEs, within a unique market for each of them individually. The demand for cerium (Ce), for example, has almost nothing whatsoever to do with the demand for lanthanum (La), or any other REE. They are not interchangeable, nor substitutable for each other, except in very few cases such as that of neodymium (Nd) and praseodymium (Pr), which in some limited applications in rare-earth permanent magnets (REPMs), are substitutable/interchangeable. Notably the demand for Nd for use in REPMs is the principal driver of the demand for dysprosium (Dy), whereas the inverse is not true. This complex subject, the demand for individual and certain combinations of the REEs, is glossed over by pundits as if it doesn’t matter. This is a fatal flaw in creating investment strategies for developing REE supply, because what is overlooked is that the supply of the rare earths must be examined on an element-by-element basis and not looked upon simply as a “basket” containing all of the REEs. This error of assuming that all or most of the REEs are interchangeable for marketing purposes, gives rise to the glib assumption that the same strategies will work for selling REEs to a variety of end users, whose only common interest is that their products all contain REEs. An even more flawed assumption is the idea that the individual REEs are of equal importance to our technological economy in any of their uses, and so one simply calculates a basket price and this metric then defines an opportunity to produce a combined value. Nothing could be farther from the truth. China appears to have unused (excess) capacity in the production of the lower-atomic-numbered rare earths (LANREs) in the amount of more than 50%. This means that China could ramp up production to twice today’s output of LANREs and, based on even old (from 1997) basically anecdotal data from the U.S. Geological Survey, keep this level of production up indefinitely. On March 5 there was official news from China (reported in the China Daily, the English-language version of the People’s Daily, the house organ of the Chinese Communist Party) for example, that Jiangxi Copper, which has been given responsibility to consolidate rare-earth production in Sichuan province, says that it will increase production there to 50,000 tons per annum (tpa) and will target the export markets. Rare-earth prognosticators please pay attention. Jiangxi Copper is a world-class commodity-metals-producing giant. It is also state-owned and has more working capital and borrowing firepower than all of the non-Chinese rare earth ventures on Earth combined. The domestic growth of the Chinese demand for the REEs is today without doubt the principal driver for any attempts to increase the supply of REEs. China’s domestic demand for all of the REEs today is probably at 70-80% of the world’s total supply (also, of course, today produced in China domestically). China is openly moving to change its economy from an export-led to a domestic consumption-led model. As China does this, the domestic demand for REE-containing consumer products (the vast majority) will increase in China, apparently without decreasing outside of China. Unless there is increased production of those among the REEs that are the critical REEs, there will be shortages and price hikes—but not in China, which will simply consume more REEs domestically while reducing exports, as it has already begun to do precisely to prepare for the change of direction in its economy. Reacting to that change and to world opinion, China has restructured its REE industry and this has resulted, for example, in Jiangxi Copper telling the world that it will ramp up production in the area under its control, so that both the Chinese domestic market and the export market can be served. Jiangxi is a new competitor in the global REE market, and it is a large profitable company run by excellent managers. It has no competition outside of China in the REE space that can match it in resources of intellectual property, manpower resources, capital, and knowledge of world markets. Yet in China, Jiangxi faces Baosteel and Chinalco in the newly consolidated REE production space as its competitors. Keep in mind that it will be an uphill battle to beat China at its own game inside China. So what is left for the non-Chinese REE supply wannabes is to produce something that the Chinese domestic REE market needs, and which is not produced in China in sufficient quantity, so that it will be in demand whether or not a total supply chain is ever constructed outside of China. It seems that the higher atomic-numbered rare earths (HANREs), the so-called ‘heavy rare earths,’ fit this description and their number may even be joined by the LANRE Nd. There are two cultures on Bay Street (the center of junior-mining finance in Toronto, and most likely the financial world). Among the denizens of one of those two cultures, it is the share price of a company that measures its success; in the other culture, the question asked is: “How much money will it take to bring this venture into (profitable) production?” The probability of achieving profitable production is this second group’s measurement of success. Junior mining is basically the mineral data mining of the earth. The data are discovered and recorded by field geologists and then it is filtered through layers of physical and chemical analysis, until for a given volume of the earth’s crust, a picture can be drawn in three dimensions, of the distribution of specific minerals within the chosen volume. If there are known mechanical and chemical procedures for recovering any valuable metals or minerals in the defined volume, and the result of those procedures is a product, or products that can be sold for more than the cost of production in volumes above the breakeven cost of the venture then, if those factors have additionally a high probability of continuing in time, we have a mineable ore body that is economic. The day of reckoning is upon the rare earth juniors. Those of them who have no knowledge of supply-and-demand-based pricing, or the geographic distribution of demand, or who have no knowledge of finance will be gone first. Even among those that survive this first cut, if they believe that the goal of a business is anything other than producing consistently a competitive profit from selling products produced at the lowest cost with the lowest possible breakeven threshold, then they will be gone next. The survivors will be those ventures that can sell their products at a profit, at a place in the supply chain which their management and marketing skills can maintain. I consider this article to be a “bulletin” to investors in the rare earth space. If a junior miner is to survive, it must either sell its ore body or develop a profitable mining operation. There has been little interest by the major mining companies in purchasing the properties of the current rare-earth juniors. Therefore to survive, the juniors will have to try to put their ore bodies into production as mines. This means that the clock is ticking. There will be no more than a dozen rare-earth ventures outside of China in actual development by the end of 2014. The global REE demand outside of China needs very little additional supply of the LANREs if it does not ramp up its metal-, alloy- and component-manufacturing supply chain. Certainly there is way too much potential and/or planned production of the LANREs chasing too small a market. It is just the opposite for the HANREs. China is short of these very critical materials, so that even if no supply chain at all is constructed or enhanced outside of China for using such raw materials, there will be a demand for them. The problem with the HANREs market is that it is not understood as a free-standing market by non-Chinese investors. Additionally it has turned out that the highest grades of HANREs as a proportion of total REEs, are in hard-rock ores and tin and uranium residues, the “metallurgy” (cracking) of which has not been successfully (i.e., economically) achieved to date. I believe, however, that the metallurgies of the hardrock ores have been addressed with sufficient success outside of China, by companies attempting this endeavor, to allow me to recommend to my institutional investment clients that they fund the development of the best-managed and best-sited ones. The skills to extract the HANREs into a pregnant leach solution, and to separate the individual HANREs from that solution are in very short supply. No one, as of yet, outside of China, has addressed the commercial separation of the HANREs. Innovation Metals, a company cofounded by my TMR colleague Gareth (and to which I am an advisor), is attempting to do something about this, with its goal of creating the world’s first independent rare-earth separation facilities, to toll-treat rare earth concentrates. Do not be fooled by those who say that all you have to do is “buy” a property and “feed” the ore into an existing LANRE separation system. This is flim-flam. I predict that at least one, perhaps two, American companies, and one European company, will be producing HANREs competitively with the Chinese within three to five years from hardrock mining. I further predict that it is these operations that will catalyze the rebirth of a non-Chinese total supply chain for the production of Dy-modified REPMs. There are a number of promising Canadian, South African, and Australian HANRE-themed junior miners, who I believe will become suppliers to the total supply chains located in the USA, Europe, Japan or even China. Their ability to do so will be based on competitive pricing. I am not mentioning Great Western Minerals Group’s South African/UK integrated operations, because they are now in a group of one, at least with regard to the commercial production and utilization in the downstream total supply chain of the heavy rare earth Dy. As far as I know their output of Dy is fully taken up by their customers and is only a market factor in the reduction of non-Chinese demand for Dy it will cause (less than 3% of the current market). The first step in the production of a REE is the mining of an ore containing a mineral that has REEs in its molecular or physical composition. In simple English, a rare earth mineral is one in which the REEs are either chemically bound into, or in a few cases, just physically attached (adsorbed) onto a substrate mineral. The ore at Molycorp’s Mountain Pass mine is an example of the first and the famous adsorption clays in China’s southern provinces are an example of the second. The lucky situation that the ionic clays are essentially thorium and uranium free, allowing their processing by crude heap leaching in the open. For hard rock, HANRE-enriched deposits have been found outside of China, the concentration of desired minerals is accomplished by preparing the ore (typically this involves crushing and/or grinding followed by gravity separation). Milling is the first step, with the second typically done by floatation, in which the higher specific gravity minerals are separated from the lighter “rock” by a combination of surface chemistry techniques and the differences in their densities. When we have the ore concentrated, we come to a point in the process where mining terminology diverges from both common English and from the strict definitions of terms as they are used in modern materials science. When miners use the term “metallurgy,” they usually mean only the extraction from an ore concentrate of the chemical forms of the elements desired. In such cases, developing the metallurgy means chemically leaching the ore or ore concentrate. Leaching is a wet chemical process most often involving acids or bases), which places into solution the chemical elements present in the ore, so that they can be further chemically processed to separate them from each other. Typically even the separated elemental chemicals must be further purified—especially in the frequent case where separation is not analytical (i.e., is not complete). 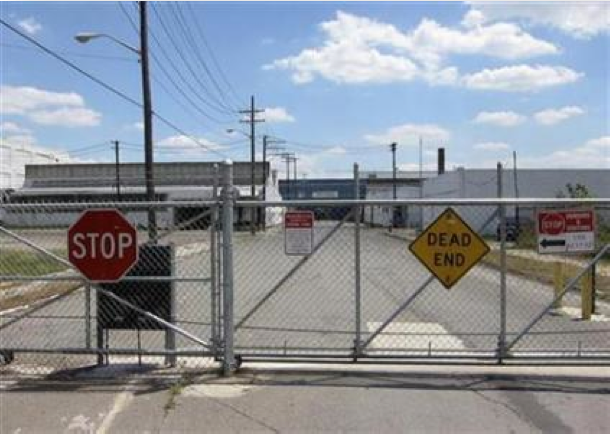 The purified chemicals are then reduced by chemical/physical processes to create pure metals. An example of straightforward mining metallurgy is the processing of common sulfide ores of copper (Cu). Their metallurgy starts with roasting (i.e., forced-air, high-temperature oxidation). The Cu oxide so obtained is dissolved in sulfuric acid, obtained in part by capturing the sulphur dioxide from the roasting, catalytically oxidizing it further to sulphur trioxide and dissolving this in water. The Cu sulphate solution is electrolyzed so that the pure Cu collects on the cathode and the nuisance metals, such as molybdenum, gold, silver, palladium, tellurium, selenium and arsenic collect in the “mud” formed under the anode. Some of the nuisance metals contained in the Cu ore are also collected in part from the exhaust gases of the roaster, which include volatile oxide species of many of the elements also present in the mud. The mining metallurgy of Cu ores is complex, and time- and energy- (and thus capital-) intensive, but it pales in comparison with the complexity of the separation of the individual rare earths after they have been extracted from their ores into a pregnant leach solution. The separation of the mixed rare earths produced by the leaching of their ore concentrates into individual REEs is a labor-intensive, time-consuming operation, accomplished commercially today only via the process known as solvent extraction (SX), which is expensive to facilitate, difficult to supply with some Chinese-produced chemical reagents, slow and in need of a large body of skilled chemical engineers for its operations and quality control. Outside of China, and previously in Japan and possibly Kyrgyzstan, no one has yet constructed a SX operation with the capability to separate the HANREs. Of course, the best investments are the well-managed ventures that own ore bodies for which known extraction techniques work, and from which a pregnant leach solution can be made, which will be capable of being fed into a separation plant, that will produce separated, purified rare earth chemicals. All of this will have to be done at the lowest costs possible and the lowest breakeven possible. HANREs so produced, mainly Dy and terbium (Tb), will be saleable into a market in deficit for the rest of this decade and beyond. A total supply chain to produce Dy-modified Nd-based magnets will be built in Europe. I believe that such a project is also underway in the U.S. The successful mining ventures in the HANRE space will most likely sell their products in a magnet “bundle.” In order to get Dy, the customer will also need to buy Nd in a ratio of the two that insures the total sale of both. There are already too many contenders in the LANRE space outside of China. The survivors will be the low cost, lowest breakeven, producers. Anyone who is going to invest in a junior rare-earth-mining venture must look at its balance sheet, for its breakeven point at reasonable prices. One must also ask exactly what market share the company needs, to break even at those prices. Next one must ask for a list of the products to be produced, which are to be sold at that point into the supply chain, and match that list with the companies expertise, or access to expertise, necessary to technically accomplish each step in the supply chain in which it will be directly involved. Size matters in a high-school locker room. Only skills and breakevens matter in the world of mining. 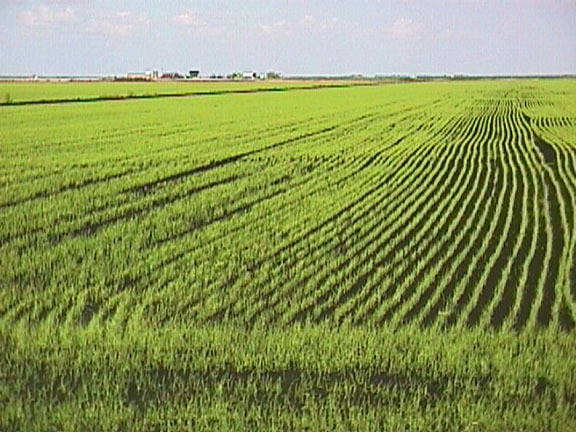 . .
Canadian farmland continues to receive favorable attention from alternative investors. We believe it stems from some unique and increasingly sought after characteristics – low volatility, low correlations to traditional asset classes, high correlation to inflation, superior risk adjusted returns, linkage to emerging market growth with limited political risk, reliable cash-flow generation, if structured correctly, minimal counter-party risk and, in Saskatchewan in particular, a margin of safety. Why is George Soros selling gold and buying farmland? Food prices are skyrocketing all across the globe, and there’s no end in sight. The United Nations says food inflation is currently at 30% a year, and the fast-eroding value of the dollar is causing food prices to appear even higher (in contrast to a weakening currency). As the dollar drops in value due to runaway money printing at the Federal Reserve, the cost to import foods from other nations looks to double in just the next two years — and possibly every two years thereafter. That’s because demand for food is accelerating even as radical climate changes, a loss of fossil water supplies, and the failure of genetically engineered crops is actually reducing food yields around the globe. Ceres Partners, which invests in farmland, has produced astonishing 16 percent annual returns since its launch in 2008. And this is during a depressed economy when most other industries are showing losses. forth to unreported warehouses or to London. silently behind the headlines of mainstream media. regulation. When they lose, they are always bailed out and when they win, they keep the profits. to become a bank to be able to borrow from the Fed. commodity power, it is unlikely to ever happen. It is just more pomp and circumstance without substance. The response to the offering of Roman Coins was simply overwhelming. 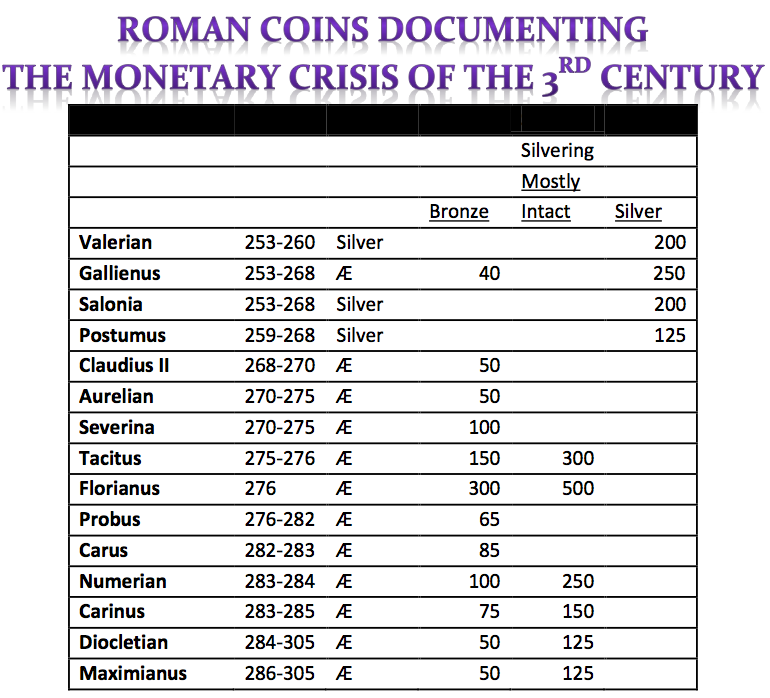 So many people have written asking how they can buy Roman Coins and others realizing these are from the 3rd Century have asked are there examples available documenting the collapse of the monetary system? 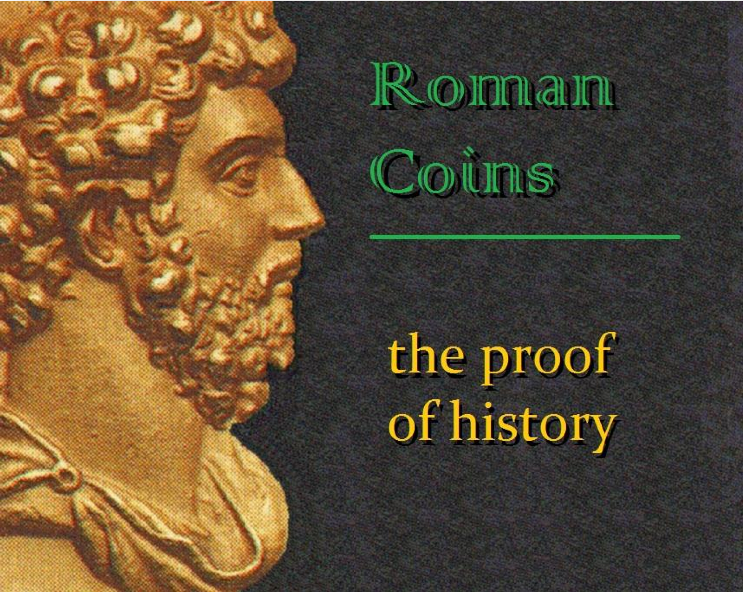 I have contacted some old friends with respect to making available a selection of Roman coins of this 3rd Century period for those interested in owning a piece of real live history and/or demonstrating the Monetary Crisis that led to the fall of Rome from a hoard of Roman coins. Because of the turmoil of the 3rd Century and precisely the dangers we face today as government goes after citizens hunting down their wealth to confiscate to sustain their existence, what happens is they cause capital to hoard reducing the VELOCITY of money. 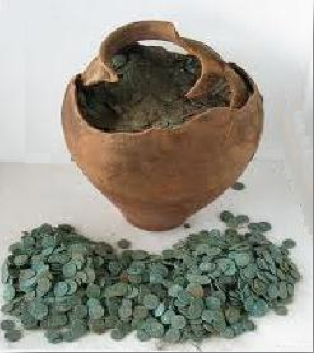 Hoards of Roman coins of earlier chaotic periods exist, although much fewer in number. Consequently, the earlier coins tend to be much rarer. As shown above, here are two gold coins from the Post-Caesarian Civil War period (44-42BC) that followed the assassination of Julius Caesar. In the case of Brutus, a non-portrait silver denarius would bring generally $2,000-$5,000 where a silver EID MAR (bragging he killed Caesar) would be $25,000-$100,000. There are only two gold EID MAR (Ides of March) coins and these today would bring more than $1 million. The gold Ahenobarbus (supporter of Brutus) would bring well over $50,000 today. Hoards of the 3rd Century are far more common. Pots with up to 50,000 coins have been discovered, but of course the condition is often well corroded making such coins worth perhaps $10 simply because they are a relic of the past and a piece of history. Silver and gold coins endure through the ages much better than bronze. Thus, condition of coins during the 3rd century does help to reduce the supply of decent well preserved coins in proportion to the bulk that are found over time. 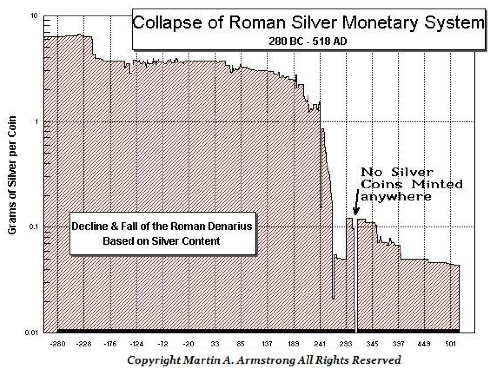 Consequently, those asking the question: Is it possible to obtain coins showing the drastic collapse in silver content of the 3rd Century? This collapse took place during the reign following Valerian I (253- 260AD) who was captured by the Parthians (Persians) and stuffed as a wild animal trophy upon his death. His son, Gallienus (253-268AD) made no effort to rescue his father and the economic collapse thereafter is easily seen in the coinage. So the answer is yes! I have made arrangements for those seeking such an example of the Monetary Crisis of the 3rd Century. The quality of these coins is virtually Extremely Fine without corrosion. All names are legible. These are the selected quality from the hoard and and are not the typical low grade junk often sold. This provides a good sampling of this period (minus the extreme rarities) that have survived thanks to the tremendous economic upheavals of the times that led people to burry their wealth. Below are factors that suggest that water will be the world’s most sought-after commodity in a handful of decades. This video accompanying the Fidelity Investments ad is as thought-provoking as it is ominous. The video discusses the respective costs in water to make items like a slice of bread, a cup of coffee, and a hamburger. From the video: “With global population expected to increase by 30 percent by 2050 and more developing nations transitioning to higher standards of living, regional water shortages and peak water issues will become more widespread.” The issue of water becomes more complicated in considering the accessibility and availability of drinking water in the years to come. 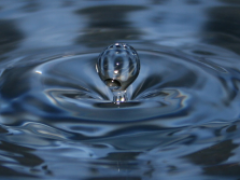 From the video: “Global consumption of water is expected to increase by 40 percent over the next 20 years. And according to some estimates, more than half of the world’s population could be living under conditions of water stress by 2025.” Thus, the video suggests that water stress could intensify geopolitical affairs and “border disputes” related to the water supply. For investors seeking high potential returns and the thrill of participating in market innovation, the smallcap energy space is where it’s at. Managing Director and Co-Founder Laird Cagan of merchant bank Cagan McAfee Capital Partners has built his career by backing companies that are both filling current demand and creating new markets. In this exclusive interview with The Energy Report, Cagan shares his experiences and discusses several companies at the forefront of the energy revolution. The Energy Report: Laird, you and your partner are active investors. You are company founders, you sit on the boards and you actually run the businesses in some cases. What kind of advantage does that give you? Laird Cagan: We are involved with fewer portfolio companies compared to a private equity or larger firm. Because we take a very active role and are starting companies at early stages, our preference is to create a new platform company and a new business opportunity. So the benefit is that we can be very close to the company and try to launch it quickly to take advantage of whatever market opportunity we see. We have a lot of skin in the game, a lot of ownership, and we try to help guide companies in the right direction. But like private equity investors, we generally have professional managers from the industry who were either co-founders or who were brought in to lead the company on a day-to-day basis. One exception is the case of my partner Eric McAfee, who has been running Aemetis Inc. (AMTX:OTCPK) since 2005, when we started that company. TER: What kinds of companies interest you most? LC: For the last 10 years or so we’ve been focused on building companies in the microcap public space. We have found that this has given us better, faster access to capital for the right opportunities. 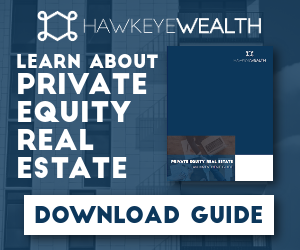 Public investors don’t want to take the three, six, nine or 12 months that venture capitalists and private equity firms take to investigate opportunities before making an investment decision. Public investors want to see something faster and want an opportunity that they can understand. Typically, that means we stay away from pure-play technologies, but we do look for technologies that are creating new markets. For example, we founded Evolution Petroleum Corporation (EPM:NYSE) in 2002, when oil was $25 per barrel (/bbl). We created that company to do enhanced oil recovery using technologies like lateral drilling, which was not very prevalent back then. We could take mature oil and gas fields and extract additional reserves using new technologies. But we also benefited greatly from having oil prices go from $25–100/bbl. We founded Pacific Ethanol Inc. (PEIX:NAS) to replace gasoline additive MTBE (methyl tertiary butyl ether), which was outlawed in 2004 in California and many other states. Ethanol was the only known oxygenate that would burn gasoline cleanly enough to meet the clean air act. So, it was less of an alternative energy play than a replacement-commodity play with a West Coast focus. Those companies, Evolution Petroleum and Pacific Ethanol, got us into the energy space. With rising energy prices and a multitrillion-dollar marketplace, all sorts of new opportunities began to arise because of technology. Aemetis, originally called AE Biofuels, was focused on next-generation biofuel moving from corn to other feedstocks that would be more plentiful, more predictable and would not be in the food chain. TER: Was horizontal drilling technology more capital-intensive at the time, with oil at $25/bbl? LC: Not particularly. There were thousands and thousands of wells around the United States that had been drilled and shut-in or were at a trickle of their former production. Some were getting ready to shut down. People would practically give them away because it costs money from an environmental standpoint to close them. For us, Evolution was an opportunity to create an early-stage platform company to produce oil using enhanced oil recovery. We were fortunate that by 2006 oil prices were at $40–50/bbl. LC: The technique used is called CO2 (carbon dioxide) flooding, where you inject CO2 into the ground and it releases the trapped extra oil, which then bubbles up. The CO2 adds pressure, just as it does in a carbonated beverage. When you drill an oil well for the first time and release the virgin pressure by traditional means, you might get 40% of the oil. This means somewhere between 50% and 60% of the original oil in place is still there. With the CO2 floods, you can typically get between 15% and 20% of the original oil in place, and that’s a meaningful well. TER: As a pioneer of this technology, where did you incur the most extensive costs? LC: You have to have a pipeline to get your source CO2, and that’s a challenge. If you’re close to a source, the cost of injecting it can be around $10/bbl. But a project’s viability depends a lot on the fixed cost of getting the CO2 to the site. At the Delhi Field in Northern Louisiana, Evolution Petroleum formed a very effective partnership with the leading CO2 player in the industry, Denbury Resources Inc. (DNR:NYSE). Together we’ve done very well. The Delhi Field was 14,000 acres and is estimated to be capable of releasing an additional 60 million barrels (MMbbl) of oil. And with oil now over $100/bbl, that’s $6B worth of oil, and you can afford to spend a lot to go after that. LC: I would say yes, it was foresight and some luck. We didn’t anticipate $100/bbl oil at the time. But, we really do focus on trying to get a play at the beginning of a growth cycle. Of course for any investor, being at the beginning of a rising tide is one of the keys to success and having superior returns. TER: You’re not as actively involved in Camac Energy Inc. (CAK:NYSE) as you are in some of your portfolio companies, but starting the company has been an interesting saga. Can you tell us about that? LC: In 2006, after having had some success with both Evolution Petroleum and Pacific Ethanol, I was introduced to Frank Ingriselli, the former head of Texaco International. He developed some important relationships in China and he had a lot of very high-level experience with majors in that region. After Chevron Corporation (CVX:NYSE) bought Texaco in 2001, he wanted to start a new oil and gas company and needed capital to grow, for which I was approached. We ended up funding a $21M offering and creating a new public entity, Pacific Asia Petroleum. Frank went to China to visit as a long-time contact and was granted a concession of 175,000 acres in the prime coal-bed-methane region of China. Without any upfront money, we got a hold of a major resource that launched the company. The Chinese government’s goal was to bring in people that had expertise and ability and who could bring capital for projects, because the country needs energy. Over time we ended up acquiring Camac, which owned a large property in offshore Nigeria that was just beginning production. In a sense it was a reverse merger for Camac because it became the majority shareholder and ended up taking control by its Chairman and CEO Kase Lawal. I dropped off the board around that period of time. TER: Camac shares have been flat over the past six months, but down about 50% from a year ago. What accounts for the lag in the stock price? LC: Its first production well started out at 20 thousand barrels per day (Mbbl/d) and it has gone down to about 4 Mbbl/d, but there’s still a huge reserve there, which is estimated to be between 600 MMbbl–2.2 billion (B) bbl of recoverable oil in the entire field. Camac is working on getting a new partner to come in and develop that. I’m bullish on the long-term. It’s going to take time, but it should be very exciting. I’m still a big shareholder and waiting, watching and hoping for the best. TER: Were there any other companies you wanted to mention briefly? LC: I recently became chairman of Blue Earth Inc. (BBLU:OTC), which is in the energy efficiency space. This is a very important new category, and it is frankly the lowest-hanging fruit of energy conservation by reducing energy consumption. Commercial real estate uses about 20% of our nation’s energy. Making those buildings more efficient is very important, and provides quick returns. For example, replacing old motors and with energy-efficient motors produces a one- to two-year payback. Blue Earth is geared toward doing that. TER: Is the company actually manufacturing new technology? LC: It’s not a technology company, but it’s using the latest improvements in energy efficiency to retrofit commercial real estate. It will also do energy audits for clients’ buildings and recommend an energy-generation project, be it solar, fuel cell, etc. that fits the client’s needs. This is called distributed generation: Instead of going into the grid and selling power back to the utility, the company sells directly to the customer. It therefore has none of the energy losses of going through the grid, nor any of the capex issues. Retrofitting to localize energy at a site is a tremendous innovation that needs to happen in order to reduce national and even global energy consumption. I’m very bullish on the energy efficiency and distributed generation space for the next 50 years. It has the power to replace and transform our energy production. We are not going to get rid of utilities because we need them, but we can chip away at our use of fossil fuels from our insatiable appetite for energy in a way that is cost effective. It also reduces carbon emissions. TER: Is Blue Earth a consulting company? LC: No. It’s more of a contractor, or a construction company. In other words, it does the work. In the solar world it’s called Engineering Procurement Construction or EPC. After the energy audit, the company does the engineering, including procurement of parts and construction. As we move on and migrate this business model, the company will also provide the financing and effectively become the developer. There are some good tax incentives involved in alternative energy, both in solar and fuel cells. Depreciation is also available, and that adds to the return. TER: Solar systems would be on the roof or on land, but how far away would a generating fuel cell typically be from the building? LC: Adjacent to the building. There’s no sound, and there are no moving parts. You need a footprint about the size of a tractor trailer. There are a few significant fuel cell manufacturers in the U.S., and they are growing nicely. Fuel cells are significantly more cost effective than solar if you can use energy 24 hours a day such as in a data center and can have net paybacks in 5–10 years at most, whereas it might take solar 10–20-years to payback. TER: What are the fuel cell companies? LC: One of the companies to look at is Bloom Energy (private). It has the larger units, and Google Inc. (GOOG:NASDAQ) put Bloom units into its building in Silicon Valley with a lot of publicity a year or so ago. Bloom is different from the other three manufacturers, as there is no waste heat, which is interesting. So, if you have large, consistent needs, Bloom is good. The data centers that Google runs are 24-hour operations. So, it would not be quite as suitable for a company that shuts down at night because you can’t amortize 24 hours, and perhaps solar would be better for a company that needs mostly peak daytime energy. That’s why an energy audit is so important, so clients can understand what’s most appropriate for their business. Other companies include FuelCell Energy Inc. (FCEL:NASDAQ) and ClearEdge Power (private), the latter of which makes a variety of units, including small residential-size fuel cells. ClearEdge is blitzing homes. It’s the SolarCity (private) equivalent. SolarCity is trying to put solar on your roof, and ClearEdge is trying to put a fuel cell next to your house, and it makes systems all the way down to 5 kilowatts, which is appropriate for a midsize house. TER: It has been a pleasure meeting you, Laird. Laird Cagan is managing director and co-founder of Cagan McAfee Capital Partners LLC, a merchant bank in Cupertino, CA. Cagan McAfee has founded, funded and taken public 10 companies in a variety of industries including energy, computing, healthcare and environmental. The company has helped raise over $500M for these companies, which achieved a combined market capitalization of over $2B. Mr. Cagan was the founder/chairman of Evolution Petroleum Corporation (AMEX: EPM), a company established to develop mature oil and gas fields with advanced technologies, and he is a former director of American Ethanol (AEB) and Pacific Asia Petroleum (PFAP). Want to read more exclusive Energy Report interviews like this? Sign up for our free e-newsletter, and you’ll learn when new articles have been published. To see a list of recent interviews with industry analysts and commentators, visit our Exclusive Interviews page. 2) The following companies mentioned in the interview are sponsors of The Energy Report: None. Streetwise Reports does not accept stock in exchange for services. 3) Laird Cagan: I personally and/or my family own shares of the following companies mentioned in this interview: Evolution Petroleum Corporation, Camac Energy, Aemetis Inc. and Blue Earth Inc. I personally and/or my family are paid by the following companies mentioned in this interview: Evolution Petroleum Corporation, Aemetis Inc. and Blue Earth Inc. I was not paid by Streetwise for this interview.